For a long time now Howard Stern has been the kind of guy that does the no-holds-barred kind of show that quite honestly has shocked a lot of people but has entertained them as well. Folks like Neil Strauss from Rolling Stone have found themselves blindsided by him when attempting to do an interview since Stern isn’t exactly the kind of guy to let the moment go without speaking his mind. He’s been toned down in the past as his shock-jock ways have seemingly ruffled a few feathers, but amazingly enough fans didn’t like this at all and as Joe Flint of the Wall Street Journal has written it kind of seemed as though only one person was capable of this, and even she was only able to take it so far. Throughout his career Stern has been the guy that you know isn’t going to pull any punches and is going to see anything and everything as fair game. To think that he might have someone out there that might be able to tone him down just a bit is kind of hard to fathom, but it’s been done. That and age seem to be the only two things that might accomplish such a thing, and even Father Time has his hands full with this one. You can imagine that if someone played the part of Howard Stern in a movie they’d have to be able to exhibit a level of manic energy that would need to be sustained with every scene. Here are just a few actors that might be able to fit the bill. This one might be a bit out there since Daniel Stern is getting a bit old these days and would no doubt have to thin down a bit in order to make the part work. Honestly though if you want to take a look at his age on Wikipedia he might actually be right for the part simply because of this. He’s not related to Howard despite their same surname but he does have the capacity to look like Howard if he really tried and would be passable it seems if he wanted the part. James Franco has taken on various appearances throughout his career but has normally been the clean-cut individual that’s seen as somewhat respectable. In this case however he wouldn’t have to do much more than grow out his hair a bit and possible slim down to take on the role. If he could do Tommy Wiseau in The Disaster Artist then this should be a cinch. It’s an odd choice I admit but something about Franco seemed to scream out that he could do this and make it work. You might know him best as Edward Nygma from Gotham, the Riddler in other words, but he does have the face and body shape that would work for this part. 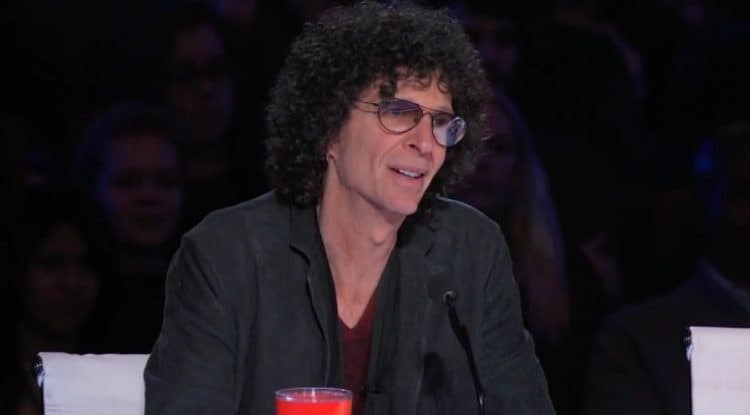 That seems like it would be the big hangup when it comes to playing a character like Howard Stern since he does have a very distinctive look that’s hard to get around. But despite the fact that he’s still a bit of an unknown compared to some of the names on this list it would seem that giving Cory this chance could possibly elevate him a great deal when it comes to his reputation. It’s kind of interesting to see how some people transform themselves and their voice so well for a part. If you’ll remember Matthew took on the role of Moon in Sing, an animated flick in which his character was a talking Koala. That kind of proves that he’s not just a great actor that but he can manipulate his voice the way he wants and lose that southern twang without letting it slip in the movie. It’s also fun because he can also be high-energy and has the capacity to shred someone with words if he really needs to. He could definitely take on the part of a shock jock and be just fine with it. This would be and odd casting call since it would appear that Jesse could do this and would excel at it, but the whole idea that he brings the kind of pensive look to any role he’s in might be a sticking point. Anyone ever notice that? Each and every role he’s ever been in he looks as though he’s just waiting for something, as though the world he’s in is about to unveil a surprise or a disaster, or both. That might be something that needs to be moved around in one way or another, but overall it seems as though he might be capable of creating a very good likeness of Stern that would make for a good movie. It’d be something interesting to watch, and hopefully do better than Howard’s past movie Private Parts.